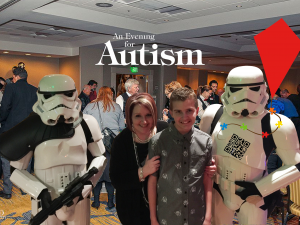 Autism medical research is exploding! It impacts individuals of all ages. Kathy will discuss selected information presented at the Autism Research Institute – Fall 2012 conference. Kathy Henley is a graduate of Southern Oregon University, is currently the Executive Director and a founder of Autism Research and Resources of Oregon, is a former Executive Director on the board of directors of the Autistic Children’s Activity Program (now the Autistic Community Activity Program) and is a past member of the Autism Society of Oregon. Kathy’s background in Autism research includes various Autism research studies since the 1990’s, and she is presently a member of Dr. E. Gene Stubbs’ research team studying Vitamin-D in expectant mothers. Kathy’s involvement in the Autism community began in the 1980s with the diagnosis of her son, Sean. Sean is now a 30 plus year old non-verbal Autistic adult living with Kathy and her husband John, and he has a part time supported employment job with New Season’s Market. Every year, the Autism Research Institute provides a conference that includes medical information from a wide variety of researchers from around the United States. This year there were presenters from Harvard University, the MIND Institute at UC Davis, UC San Diego and many others. Topics covered included neurology, immunology, metabolics, epigenetics, genetics, gastroenterology and much more! 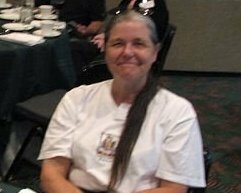 ARROAutism Executive Director, and DD Training Co-op member, Kathy Henley will present information from this year’s Fall ARI conference. If you missed the ARI conference, this is your best chance to learn more about Autism Research that affects all age groups. This presentation is part of the DD Training Coop series. Region 1 DD Training Co-Op member agencies’ staff and direct affiliates. Direct affiliates include small subcontractors of brokerages, et al. DD certified child foster parents. DD adult foster care providers. Family members of individuals receiving DD case management or brokerage services within Region 1. More information about the DD Training CoOp is available on their website.